Join us in celebrating Industrial Welding Academy on earning our TCB July Business of the Month award! 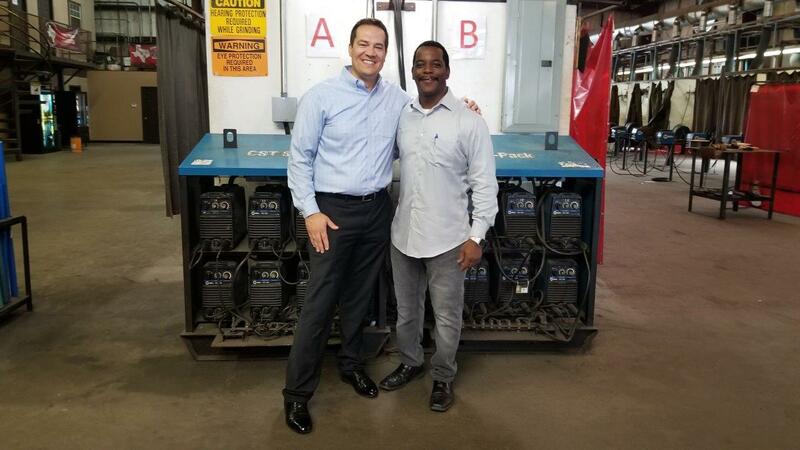 Andre Horn’s hard work and determination, combined with our resources and personal service, empowered Industrial Welding Academy to upgrade from a 1,500 sq. ft. industrial complex to a 28,000 sq. ft. building. Consequently, the school went from training 24 students per day to 100 to 120 per day! Above all, Andre looks to qualify his students for high-paying, highly rewarding careers in welding. For example, many of his students now work in the lucrative petrochemical and oil and gas industries. Visit our Industrial Welding Academy friends on Facebook, Instagram, and their company website. To see what else Andre Horn has to say about Texas Citizens Bank, check out our Success Stories.